It would be nice to think that books were one of the places where equality of access and representation were available to both sexes, especially given that over half the authors of all books written are now women. Sadly, though, it is still not the case. Reviews of books in leading newspapers and journals around the world still show that women lag behind men in pretty much every arena (VIDA 2015 Count). There was also the recent video showing a young girl and her mum pulling books out of their library bookshelf that featured male only protagonists (human or animal), books with shared male/female protagonists, books where the girls barely spoke or failed to participate in the action etc, until they were left with the handful of books featuring positive female protagonists. Recently the Little People Big Dreams series hit the Australian market and showed that there is a huge market for stories about girls. Especially books about successful, resourceful, smart girls. This year at work we have had three new books about women and girls that have gone ballistic. We've had trouble keeping up with the demand as the publishers scrambled to bring in more stock from overseas and reprint. 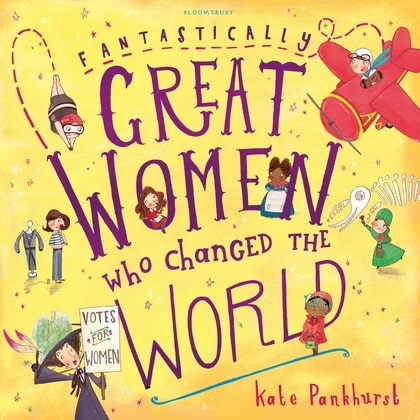 Fantastically Great Women Who Changed the World by Kate Pankhurst is a picture book for the 4+ age group. Pankhurst (a descendent of the suffragette Emmeline Pankhurst) has compiled a book celebrating the life and achievements of 12 fantastic women. 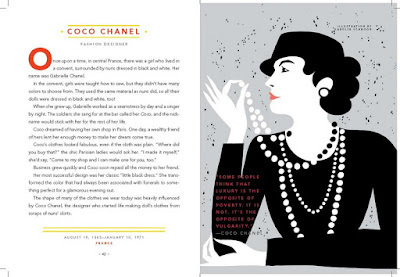 Featuring Emmeline, Frida Kahlo, Coco Chanel, Gertrude Ederle (the Channel swimmer), Mary Anning, Mary Seacole (nurse), Agent Fifi, Sagagawea (translator and guide for Lewis and Clark), Rosa Parks, Anne Frank, Amelia Earhart, Jane Austen and Marie Curie, each double page spread is illustrated in a cartoon-like way with speech bubbles, maps, text boxes and loads of humour. 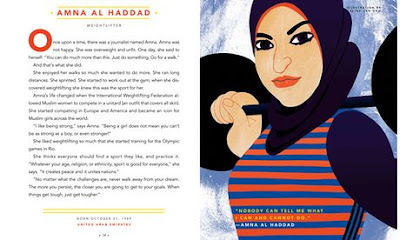 The book finishes with a 'Gallery of Greatness' full of inspirational girl power quotes and a challenge to its young readers about how they might, too, change the world. 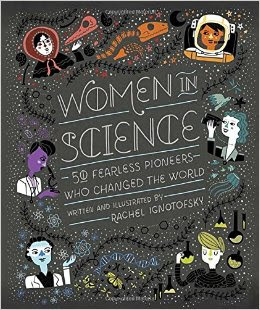 For the older reader (12+), Rachel Ignotofsky has collated Women in Science: 50 Fearless Pioneers Who Changed the World. Beginning in 350 CE with Hypatia, an astronomer, mathematician and philosopher in Alexandria, she travels around the world to highlight women scientists throughout the ages. 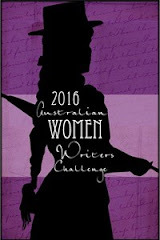 Each woman's history is discussed, plus any obstacles that she may have had to overcome to do what she did. But the main focus is on their incredible accomplishments. 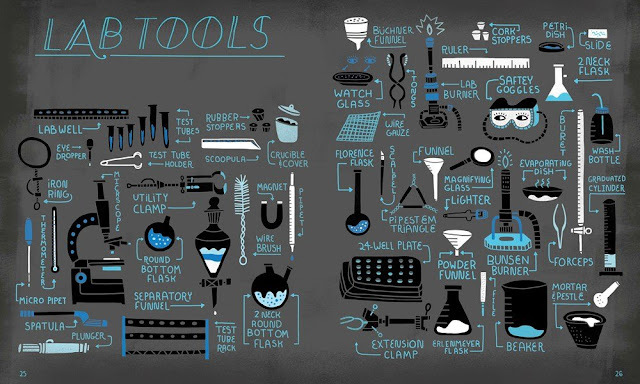 Ignotofsky has also included pages of timelines, statistics on the gender gap in science and lab tools. Ignotofsky has a new book coming out later this month called Women in Sports: 50 Fearless Athletes Who Played to Win. 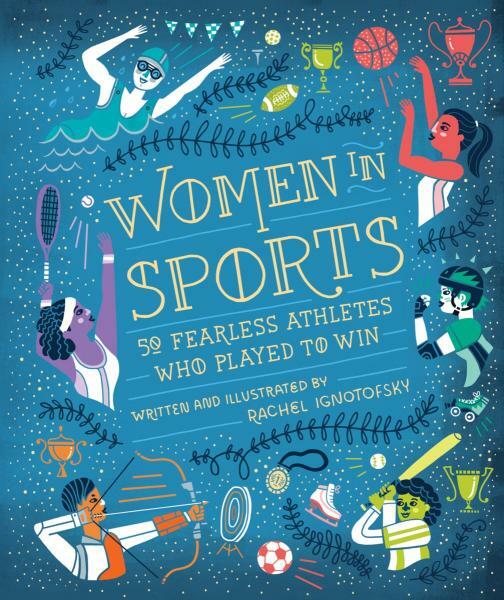 Like her science book it will feature famous, internationally renown women as well as lesser-known champions plus more stats on female participation in sport, pay and muscle anatomy. I can't wait to see which group of women she tackles next. This is the book that has had the most attention and the biggest buzz. Aimed at the 9+ market, Favilli and Cavallo have indeed created 100 Tales of Extraordinary Women. Anna continued to risk her life until she died, writing the truth in order to make the world a better place. A quick wikipedia search reveals that she was in fact murdered in the elevator of her block of flats in 2006. She had also been held, beaten and tortured previously. Her murderers have never been brought to justice. There is nothing wrong with making a story of someone's life - after all, we all do it with our own lives, in one way or another. Each bio is also only one page long. Only so much information can be included. 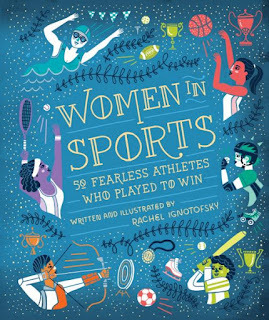 Favilli and Cavallo have clearly chosen to view all these women and their achievements through a positive, inspiring, feminist lens that is suitable for younger readers. They have avoided language that echoes those used by victims or martyrs. And for anyone who, like me, feels that the story is too brief or too safe, they can always do a quick google to flesh out the details! One of the big pluses about Rebel Girls are the generous full page portraits of each of the women. Sixty female artists from all round the world contributed illustrations for the book. They have used a wide variety of styles and media which makes the book a visual feast as well as being inspirational. 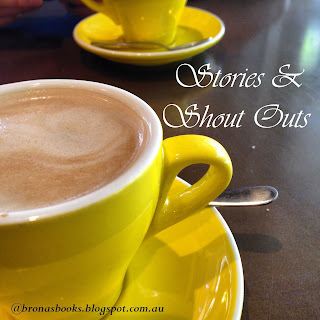 Goodnight Stories features a large number of modern day women who are still alive and still achieving great things. Which begs the question, what's next? For starters, the authors are planning a second book of Rebel Girls, and as they did with the first book, they will be using Kickstarter crowd funding to do so. 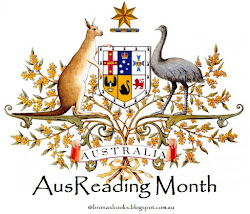 - Emmeline Pankhurst, Audrey Hepburn and Rosa Parks - due in the Australian market before Christmas. 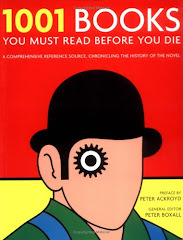 These are just wonderful books! I might even order a few! I only wish I had books like these ....growing up. 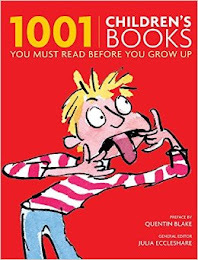 The books you have reviewed are excellent for girls to understand and question the world....and help them in whatever they want to become. Buy books for chidren...a worthy investment! That was exactly the thought I had Nancy. I remember reading about Joan of Arc when I was little, but I didn't fancy dying for my cause or the religious fanaticism that fuelled her particular form of success/achievement! 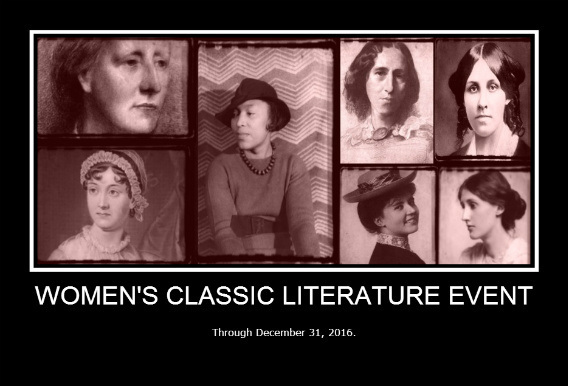 All of these books sound fantastic---I was thinking how they would make terrific gifts for the women (and men) in my life. The Pankhurst book is particularly appealing. I have certainly been giving these books (esp Rebel Girls) to my goddaughters and nieces. Lots of babies are also getting these books, judging by comments from our customers at work. They're great resources for teachers too. Let me try again, as my previous comment does not seem to have 'taken'. I wish I'd had those books when growing up, or at least had them for my boys when they were little, instead of all the male explorers and inventors that they became accustomed to. So important for both sexes to appreciate women's contribution. I might still get them for myself! Goodnight stories looks amazing. And I will certainly look out for the sports one for some girls around me!